A minimum of a ‘C’ grade in Year 10 Science. 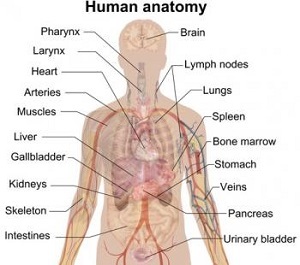 This unit explores how the systems of the human body are interrelated to help sustain functioning to maintain a healthy body. Cells are the basic structural and functional units of the human body. Materials are exchanged in a variety of ways within and between the internal and external environment to supply inputs and remove outputs for life processes. The respiratory, circulatory, digestive and urinary systems control the exchange and transport around the body of materials required for efficient functioning. The lifestyle choices we make can have consequences for the optimal functioning of these systems. Humans can intervene to treat dysfunction and influence the quality of life of the individual. This unit explores the role that males and females have in reproduction, including contraception, and the issues of sexually transmitted infections. The reproductive systems of males and females are specialised in many ways to produce differentiated gametes (eggs and sperm) and ensure the chances of fertilisation and implantation are more likely. The healthy development of the embryo and foetus can be monitored, and technologies available will be presented. Where there are instances of infertility, options available for couples, along with associated risks, will be considered, in addition to lifestyle choices that can affect fertility. Sexually transmitted infections will be researched, and effects, treatments and ways to minimise infection will be examined. Students develop an in-depth knowledge and understanding of how the body works, enabling them to make better life decisions and be more effective contributors to discussions relating to health issues in the community. This is a great course for students thinking of undertaking vocational education, training and employment opportunities in areas such as nursing, paramedics, sport science, personal training, physical education, physiotherapy, occupational therapy, health education, social work, food and hospitality.